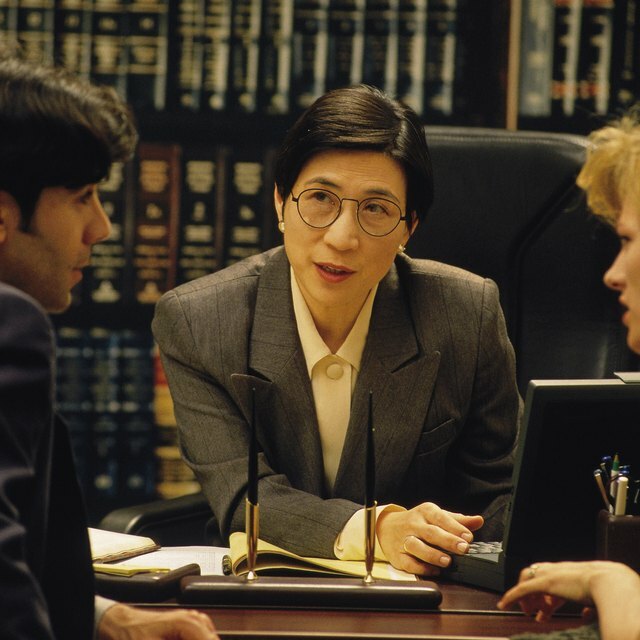 Negotiating a loan modification is permissible during a bankruptcy case. Once the homeowner and mortgage servicer have agreed to the new mortgage terms, a judge must approve the loan modification. Following federal bankruptcy rules and local court procedures is necessary to file a motion for loan modification approval. The judge wants to ensure the mortgage payments are affordable and won’t pose more of a burden on the homeowner’s ability to satisfy other financial obligations. Retrieve a copy of the loan modification documents from the mortgage servicer. The documents should state the property address for the home and the terms of the loan modification. The documents must provide information regarding the principal balance, the length of the loan term, the interest rate, and any interest rate changes that may occur. A breakdown of the monthly payment amount should also be included in the documents. Draft a Motion to Approve Loan Modification. If an attorney was hired to handle the bankruptcy case, he will draft the motion. State the name of the mortgage servicer that is willing to grant the loan modification. Provide the property address. Give details regarding the previous loan terms and the proposed changes to the mortgage. Request bankruptcy court grant approval of the loan modification. Contact the courthouse to get a hearing date for the motion. The court date may be 30 to 45 days in the future so that there is enough time for the interested parties in the case to receive notice of the hearing. The trustee administering the bankruptcy case and the mortgage servicer are among the interested parties that need time to review the motion prior to the hearing date. File the motion and the loan modification documents with the bankruptcy clerk at the courthouse. The bankruptcy attorney can electronically file the motion and loan modification documents. Attorneys generally have accounts with the courthouse that allow them to review cases and file documents online. Send a copy of the motion and loan modification documents via certified mail to each of the interested parties in the case. When the documents are delivered to the respective parties, the delivery date can be verified. The trustee and mortgage servicer's attorney may also receive an email notification about the motion from the court after the hearing date is updated on the court docket. Attend the hearing on the designated date. Sometimes, only the attorney’s presence is required at the hearing. Confirm with the attorney whether or not you need to attend the hearing. It is permissible to proceed with the loan modification if the judge grants the motion during the hearing. Carefully review the terms of the loan modification with the bankruptcy attorney to determine if it's in your best financial interests. Discuss all of your options with the bankruptcy attorney, including possibly surrendering the house, if it appears the mortgage is no longer affordable.